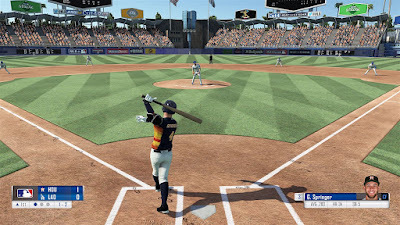 After four years of marginal improvement in the RBI Baseball series, Major League Baseball finally had enough and took over full development of RBI Baseball 18 itself. The result? A presentation bump and some welcome feature additions (finally a Home Run Derby! ), but it still has the same old tired, glitchy, boring gameplay that has been holding the reboot series back from the very start. RBI Baseball 18 finally has the features we’ve come to expect from a real sports game, but the gameplay still isn’t anywhere near good enough. 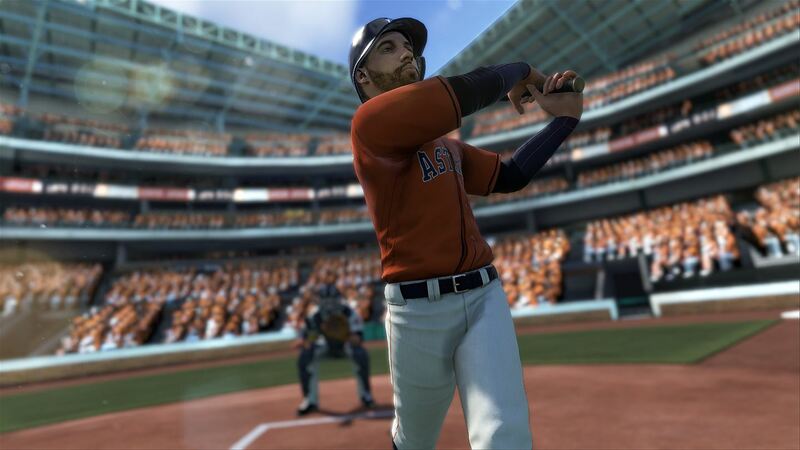 See all of the details in our full PS4 RBI Baseball 18 review. Features-wise, RBI Baseball 18 is pretty respectable. It has all of the real players and the rosters will be regularly updated to reflect their real world counterparts. All of the stadiums have been given graphical upgrades and look much better than in past games. The game includes a 10-year franchise mode (with fully customizable rosters so you can make a team of all-stars if you want), a postseason mode, online mode, and local multiplayer. 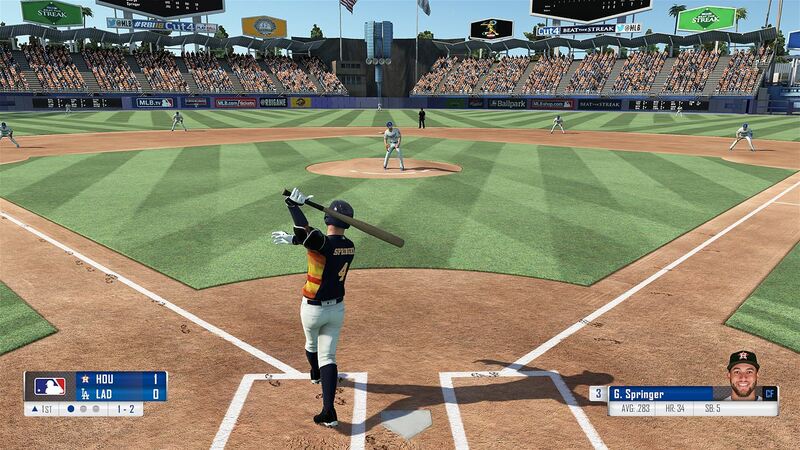 And, finally, after years of begging, they added a Home Run Derby mode! In terms of features and modes, RBI Baseball 18 actually justifies its $30 MSRP. Unfortunately, the gameplay is still a mess. Ultra simple timing-based batting. Ultra simple three-speed pitching. It plays like an NES baseball game. I know that the whole point of bringing this franchise back was to focus on simple arcade-style controls, but the game is too simple and, frankly, boring. Arcade sports games need to be more than just simple and accessible. They have to do something to make them interesting and fun to play (see Mutant Football League or Bush Hockey League). 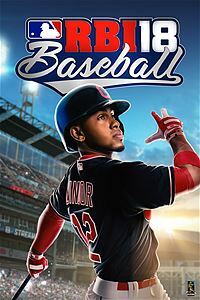 RBI Baseball 18 just ain’t fun and until they do something to juice up the gameplay the series isn’t ever going to get any better no matter how much they try to polish everything else. Besides just being boring the gameplay has had a number of problems dating all the way back to RBI Baseball 14 that still persist to this day in RBI Baseball 18. A.I. fielders make way, way, way too many errors. Pitchers always run out of steam in the 5th inning regardless of how many pitches they’ve actually thrown. Even worse, the game is extremely inexcusably glitchy. I had to quit out of the very first game I tried to play because the opposing A.I. pitcher wouldn’t throw a pitch. The second game I played I hit a line drive at the pitcher, it bounced off of him and hit the ground, and then he nor any of the other infielders bothered to pick it up so I got an inside the park home run. Every single game I played had at least one moment of game breaking glitches or A.I. wonkiness. It’s sort of funny, I guess, but it gets old after a while and is in no way acceptable. The presentation, while improved, also has some issues. The good news is that the menus look much nicer than in past games and the stadiums really do look much better and more detailed than before. The bad news is that the players are still incredibly ugly looking and don’t resemble the real players at all, the animation is stiff and stilted and terrible, and the crowds in the stands are pretty hideous. At least they finally changed the music and sound effects (forgive me if they changed it last year, I skipped RBI 17). All in all, RBI Baseball 18 is another dud made even more disappointing by the promises from MLBAM that they were really going to fix it for real this time only to end up with the same game again. The features list is, admittedly, pretty solid, but everything else needs to be thrown out and started over for real. The presentation is totally mediocre and the gameplay is boring and unacceptably glitchy. RBI Baseball was a fun story when it initially came back, but after five games with little gameplay improvement it’s not cute and fun anymore. RBI Baseball 18 is not a good game. Skip it.